 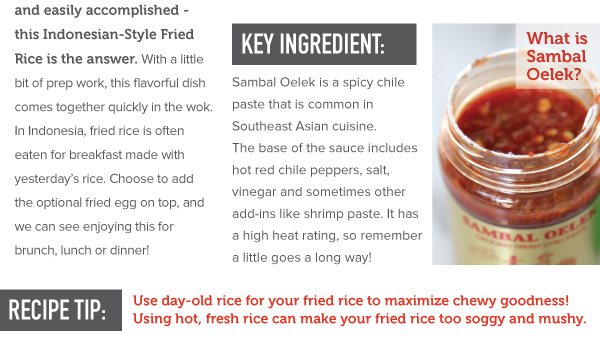 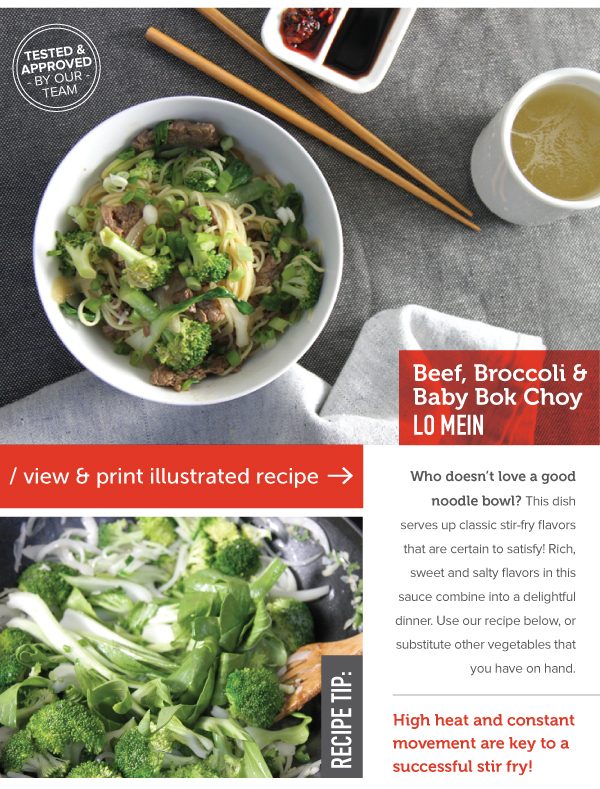 We’re huge fans of fast, stir-fried meals where the delicious flavors of vegetables and meats are sauced with magical flavors and assembled quickly. 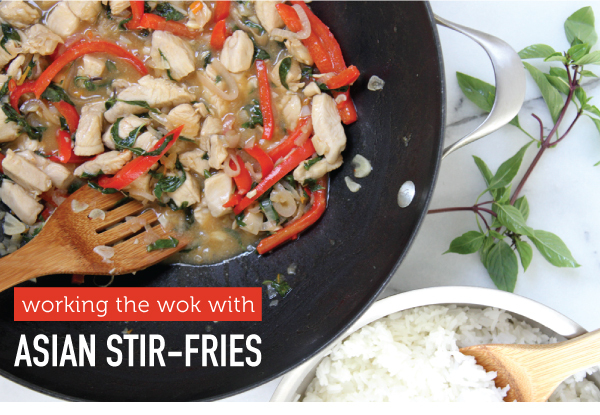 Stir-fries are often our answer when a quick meal is needed. 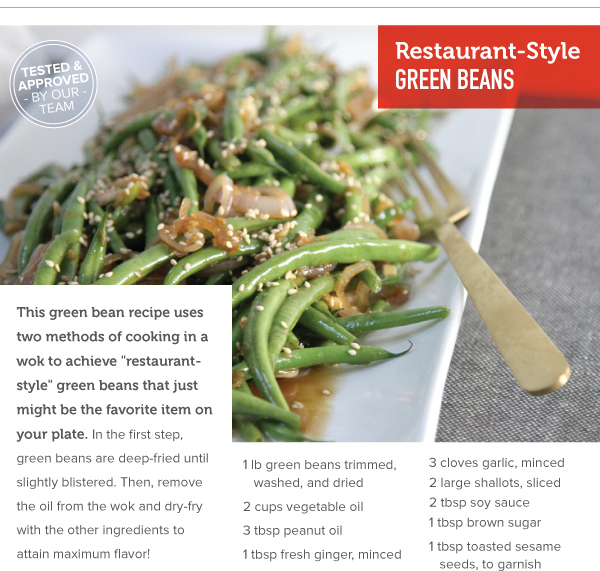 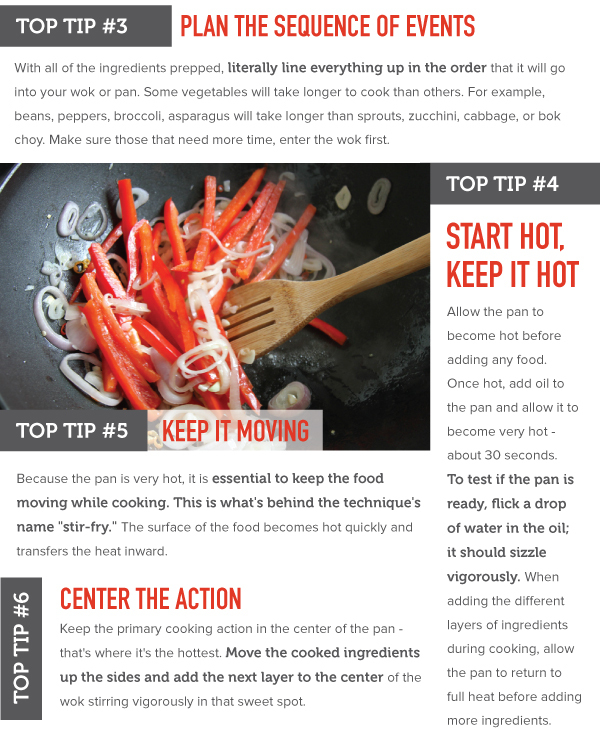 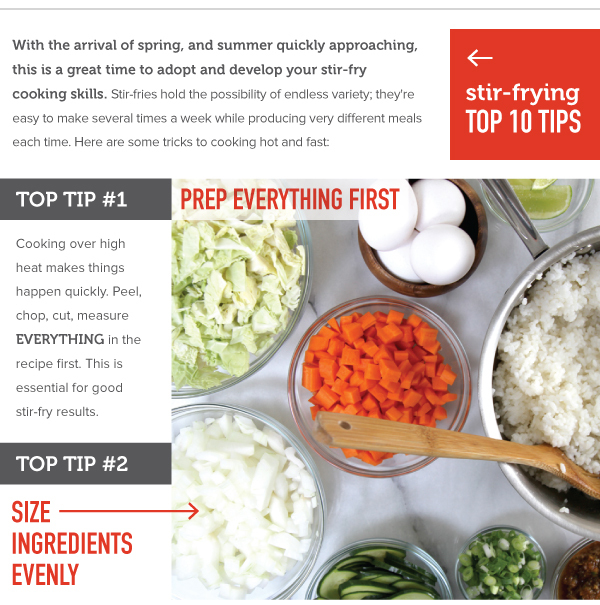 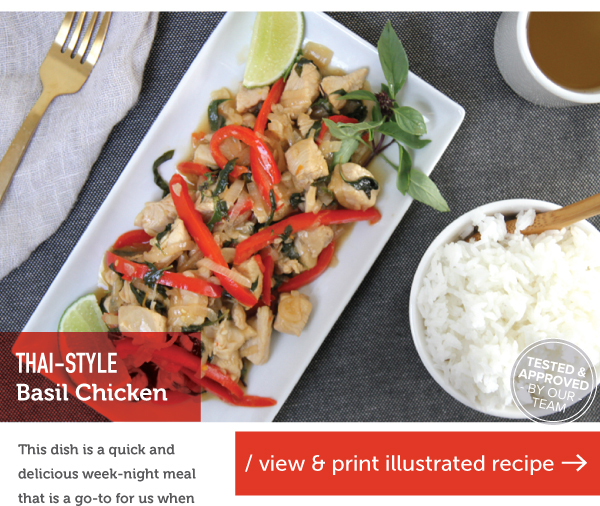 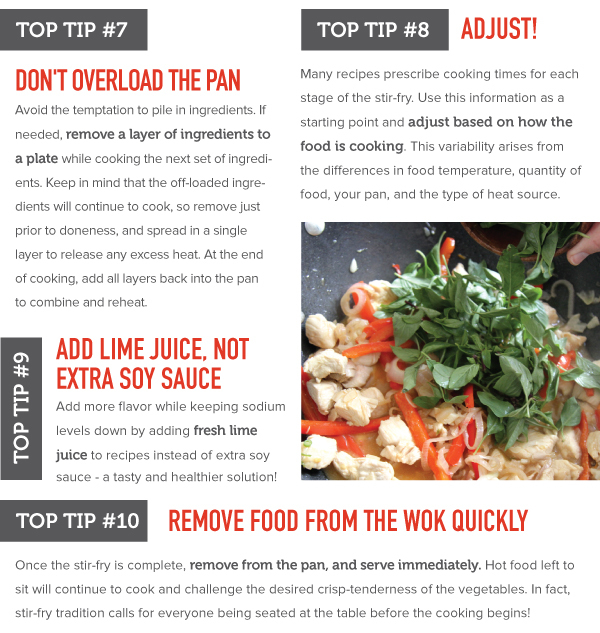 IN THIS ISSUE, we have ten top tips for mastering stir-fry techniques. 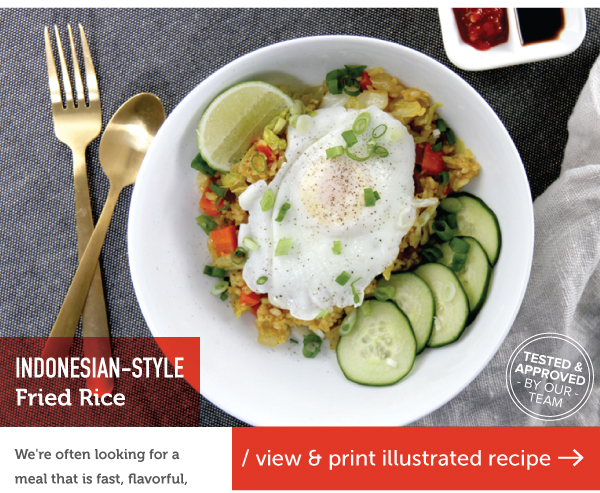 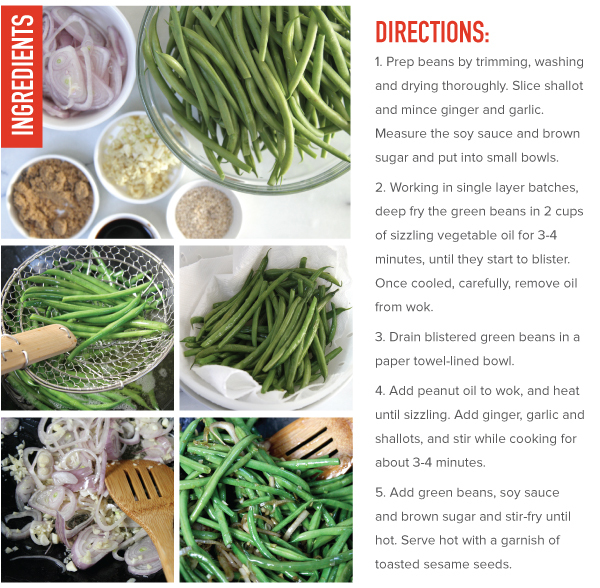 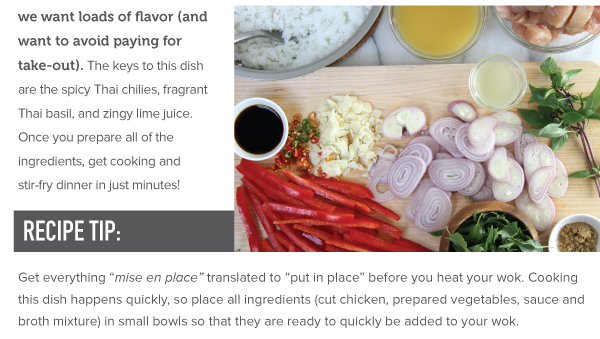 Then, we’ll practice this quick cooking method with three recipes – one from Indonesia, another from Thailand, a favorite Chinese noodle dish, and a bonus Green Bean recipe. 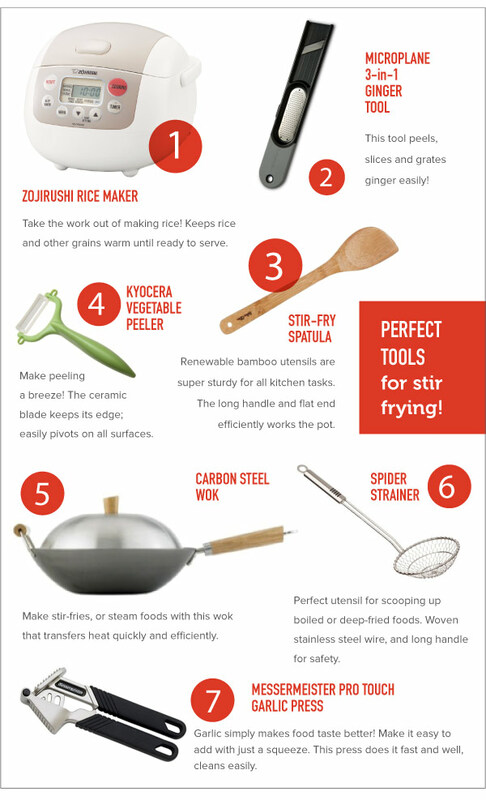 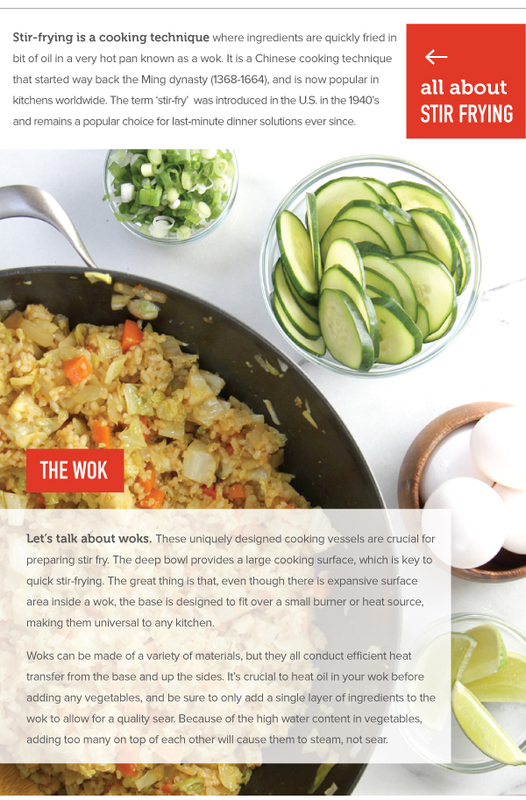 Fire up the wok, and let’s get stirring.